As discussed the other day, Flir’s new E4 thermal imaging camera can be easily modified so that thermal images can be captured using the full sensor chip built into the camera. 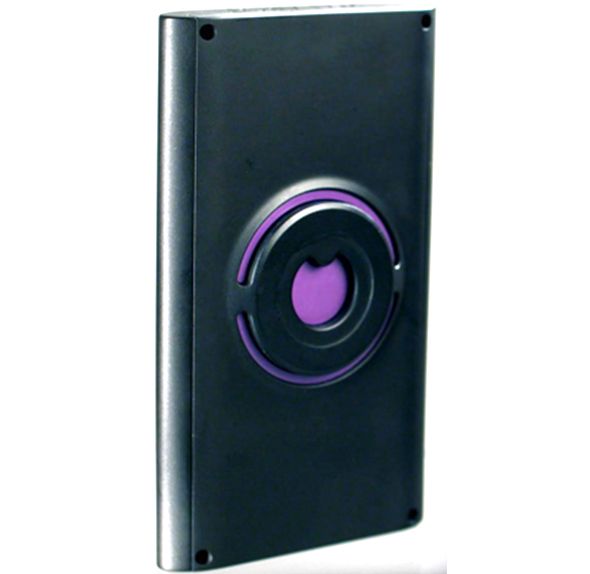 The E4 is capable of capturing 80 x 60 px resolution thermal images out of the box, but Flir actually built the camera with a 320 x 240 px sensor. Mikeselectricalstuff provides downloadable files and easy-to-follow modification instructions via the EEVBlog on how to do this. While I desperately wanted to buy a 320 x 240 pixel thermal imaging camera to use for various ToolGuyd-related activities, I could not justify spending $5,000+ on one. We do have a few review samples undergoing testing, but they’ve been in and out of my hands. $995 for an E4 that can be easily modified via software to perform kind of like a $4995 E8? I figured it was worth a shot. I charged up the battery and took a few “before” tests. Then, I carefully followed Mike’s instructions and modified the configuration file. Did it work? YES! Please note that these images are all enlarged by 50% to make them more suitable for web display. The differences are pretty striking, aren’t they? After modification, the E4 records sixteen temperature measurement data points for every one data point it records when brand new out of the box before modification. So that’s 76,800 data measurements after modification vs. 4,800 measurements before modification. I confirmed this in the exported csv file. The unmodified E4 actually exports a file with 76,800 data points, but it contains 4,800 groupings of 16 identical measurements. I suppose this makes sense, otherwise the E4 would have to be engineered a lot differently than Flir’s higher-end EX-series imagers, which would have driven up its price. 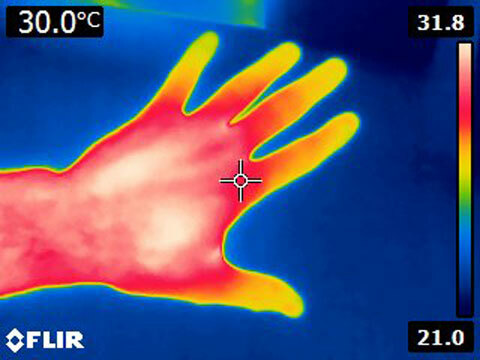 For comparison, following are a couple of other thermal images of my hand taken using other thermal imaging cameras. Earlier in the year I had the opportunity to test out a Flir E60 thermal imaging camera, which is natively capable of capturing 320 x 240 px images. Newer E60 models also feature MSX image enhancement capabilities, but the model I tested did not come with this feature. 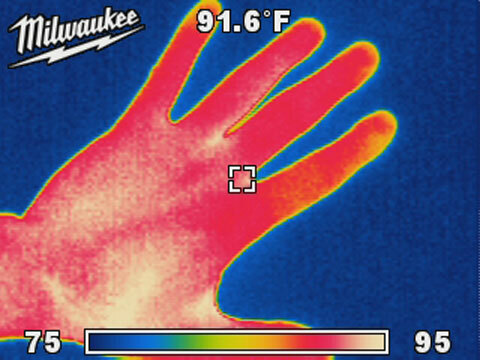 And here is an earlier image from Milwaukee’s thermal imager. Despite its lower resolution (160 x 120 px), the image quality is actually quite good. The output from Dewalt’s visual thermometer doesn’t quite compare at all, but it, and Fluke’s new VT04 visual thermometer and recent VT02 visual thermometer, are still upgrades over common non-contact IR thermometers. I plan to fully test and review the E4 in coming weeks, but thus far I identified two things I don’t like about it. First, there’s a dead always-dark pixel in my LCD display. Although it bugs me, I don’t think it’s worth the hassle for me to return the product because of this. With my luck, the replacement would come with a fix that blocks the firmware modification that unlocks the power of the full sensor. If the camera LCD was something I would have to look at all the time, I would probably return it. Then again, I plan to use the E4 for years to come. Ah well, I’ll give it some thought. Second, it only outputs jpg images. This wouldn’t be such a bad thing if it wasn’t for the compression artifacts. Flir’s Flir Tools software also doesn’t offer the ability to export images. You can only save the images over the previous one, which presumably adds more jpg compression to the mix. You can always re-edit the images over and over, but that’s probably not a good idea unless you save the original file somewhere else to preserve the original image quality. Overall, I am quite pleased with how things worked out thus far. Even with the software modification, which improves the resolution and a few in-camera measurement functions, the E4 is still an entry-level thermal imaging camera. If you do buy an E4 and decide to modify it, you do so at your own risk. There is always the possibility of “bricking” the device and rendering it useless. You have been warned. There is also no guarantee that the modification will continue to work. For continued discussion about the E4 and how it can be modified, check out the various threads about the topic over at the EEVBlog forum. Feb 2014 Update: Flir has added new 2.0+ firmware to their website. The folks over at EEVBlog have discovered that the modification might not work with devices shipped with 2.0+ firmware installed. Firmware 1.19.8 is the latest firmware known to work work with the modification. « Upgrade Your Gear! 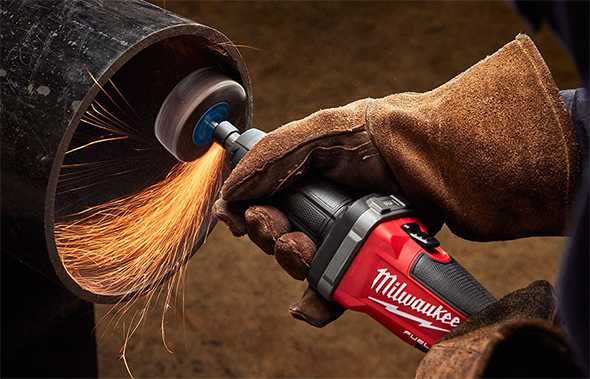 ToolGuyd Giveaway: Milwaukee M18 Fuel Saw or Grinder! 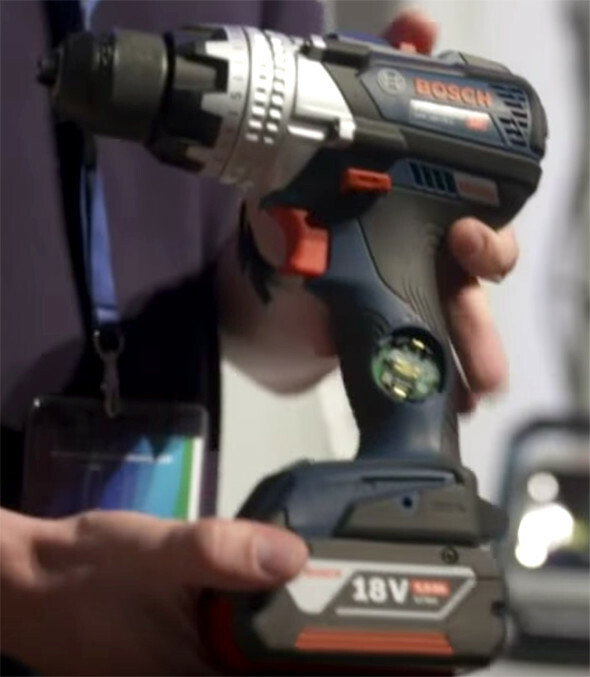 Wow it shows us how advanced power tools are getting if we can update firmware and have to worry about bricked devices. What’s next? Locked boot loaders, jail breaking? These were always topics I encountered with smartphones, tablets, psp’s, it’s very interesting to see these topics on power tools as I’ve always been interested in electronics and gadgets. Now back to the main topic, although I would much prefer the better resolution with the mod , the pictures before the mod are still pretty good in my opinion. There’s enough detail in the lower resolution that you know what your looking at based solely on the captured image. 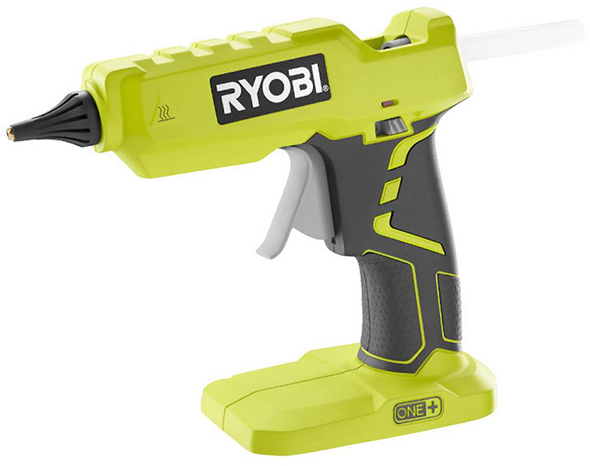 To be fair, this isn’t really a power tool in the same sense as a cordless drill or saw. The image quality is decent without the mod, but with the mod the higher resolution will come in handy when examining smaller and more detailed objects, such as circuit boards. Plus, the mod also unlocks a few higher-end in-camera menu feature that are hidden out of the box. Yeah, that mod will soon be “hardwared out” in some fashion by FLIR, making some change to the actual hardware preventing the resolution increase, or simply making previous firmware releases incompatible. There’s probably going to be an increase in “bricking” in coming months, I bet. I would not have purchased an E4 if not for the mod, nor would I have purchased a higher-end model. According to a poll on the EEVBlog, a lot of people are in the same camp. Industrial users are not going to bother with software modifications, they’re going to buy the model with the features they need. It is the smaller outfits, such as ToolGuyd, small businesses, and I believe contractors as well, who will be buying and modifying the E4, with the alternative being nothing at all most of the time. Flir gains extra customers and sales if they do nothing at all. If they build taller walls to block the modification via hardware, firmware, or the transfer software, they’ll lose a lot more E4 sales than they would gain higher-end sales. I wish I had taken that bet, just upgraded my 2018 E4 and all OK. How wrong you were. Easy to say now though and without some very hard work by a few dedicated people you would have been close except it was software mods not hardware mods to overcome. Those instructions on that blog, are not easy to understand. I plan on buying this unit so is it possible for you to post more clearer instructions? Maybe the blog instructions will make sense once I get the unit and load the SW.
Before I purchased my E4 I downloaded the zipped folder attached to the linked-to forum post. I made sure I could follow the instructions to the letter and then placed my order once I fully understood the process. I reread the instructions a few times until I fully understood them. I did NOT do anything with the USB RNDIS mode, I stopped after the basic modification. Once I received my order I checked to make sure my E4’s firmware matches the firmware versions EEVBlog users were able to successfully modify (1.19.8 or earlier). I am reluctant to provide instructions, but can provide a few comments about what I did with my own E4. By no means am I recommending that you follow these as instructions, they are simply an account of what I did. This was all in Windows 7. Once I downloaded the file package I copied or extract them elsewhere to a new folder. The attachment downloads without a file extension, but is a zipped/compressed folder and I figured it would be best to get everything out of there before proceeding. I opened the E8.cfg file in Notepad, but could have used another very basic text editor (e.g. NOT MS Word). I modified the bottom line using my E4’s serial number, and made sure not to mess with the extra blank line at the end of the document. While browsing in the downloaded folder, I opened a command prompt in the folder (by pressing shift and right clicking the mouse to see and select the “open command window here” option) and then typed in CRC01 E8.cfg . Actually I copied the command and right-clicked and hit paste. Hit enter. The utility then spit out a line of code that needs to be added to the E8.cfg file. I typed it out in the last line of the E8.cfg config file that was previously a blank line and saved the file. # CRC01 yyyyyyyy, with yyyyyyyy being a unique number spit out in the command prompt. To edit the E8.cfg file, I open up Notepad and then drag the file over into it. After, I moved the E8.cfg file to the folder where the EEVBlog instructions indicate flashfs\system\appcore.d\config.d\. Then, I selected the flashfs folder and camera.cmd, right clicked and used 7-Zip to create a .zip archive file. I then renamed the file extension to .fif as indicated in the instructions. I don’t recall if you can create .zip files in Windows natively. I used 7-Zip (http://www.7-zip.org/), which is a free download. If I were using a different computer, I would have needed to change options in Windows Explorer folder options (view tab) to unselect “Hide extensions for known file types.” For instance, with someone else’s Windows 7 computer, I would have followed these instructions. I can certainly help you understand the instructions, but am reluctant to issue my own instructions, as I don’t want to be responsible if something goes wrong. I am happy to take the risk with my own equipment, but don’t want to be a party in urging or instructing others with their equipment. Know what I mean? I don’t even offer computer help to friends or family members anymore. I upgraded the RAM on my uncle’s PC and somehow the USB port stopped communicating with the printer and it was presumed to be my fault. Wow! For under $1000 today I’d say you can’t do better than this! I knew when I bought mine last year (a $2500+ unit) that these prices would drop like a rock in coming years, but I had a need for one. If I was buying one today, this would be the one!! I hope they continue to become more affordable as they are huge time savers compared to random point and shoot with IR thermometers and they really help you “see” what the issue might be. To be completely honest, the E4, while capable, does not match up to higher-end cameras. There are a lot of features stripped from it, such as an SD card slot. There’s a reason Flir’s EXX line of cameras cost more. But for a hair under $1000, this really is the best thermal imager on the market, even without the enhancements unlocked by the software modifications. Can I literally buy a brand new E4 camera from flir and do the upgrade? That’s what I did, but I cannot guarantee that it will work for you. Any videos out there on how to do this? Any chance for this to work on a 2.0 firmware because anything I seem to find is newer than 1.19.8? I combed through all the newest information, and it seems that the newer E4s will have updated firmware. The firmware hasn’t been confirmed yet, and as far as I know, nobody has tested the modification with any E4 with firmware higher than 1.19.8. Unless you have a model with 2.0 firmware, the only thing to do is wait for someone else to try it first. or even a file for the firmware for the camera so I can update the camera with a older firmware? I muscled thru the instructions, and got to the bottom just after the install Flir tools. They installed fine. They’re talking about the install directory on a Windows PC, where the free Flir Tools software application is installed to. FLIRInstallNet.exe is an executable file in that folder. I just bought one and the date of calibration is listed as January 7, 2014 on the Calibration Certificate. Would this imply 1.19.8 firmware? If you already have the device in-hand, you can easily check the firmware. I have added instructions at the end of the post on how to do this. Yep, got it! Thanks and I’ll be enjoying this camera even more!! I call it my $1000 stud finder, lol. I’m also using it to monitor the ceramic bearings on the blood pump component of an ECMO system. 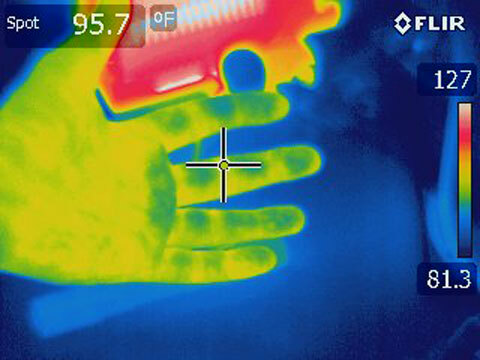 And the thermal image of a diabetic’s lower leg and arm was dramatic. The zones of poor circulation were striking. Discovering many useful applications. The new firmware 1.21.0 and 1.22.0 are right hackable. The new firmware has a crypted configuration. On EEV-Site is a tool to decrypt the orginal config-file and decrypt a new on. So you can already buy a new camera with FW 1.21 or 1.22 and install the hack. Where can the decryption for 1.21.0 and / or 1.22.0 be found? Is this the latest version for newest E4? You’ll have to check the thread on the EEVBlog. I have not been following the latest developments, but I believe there were updates in the works. can you hack 1.21.1 now? the decryption is invoked by using a -d (the call this a switch) in the execute line and an -e (switch) is used to encrypt it back so the camera works. then you move this back into the camera memory (using filezilla) and it changes the camera settings. Then you can also move the modified menus up to the camera and it changes them also. With the hack does it increase the E4 thermal sensitiviely from 0.15c to 0.06c? That’s unclear and could be hard to check. It could also be limited by the E4’s hardware. If you find this out, please let us know! I will be using it for building maintenance applications so I think the extra sensitivity will be handy for moisture issues. I have to check the other sites to see if the latest firmware allows hacking. If so, I will get one in the next month or so. Not sure how to test for the extra thermal sensitivity. A recent update: I bought a new FLIR E4 (certification dated end of march 2015) with 2.3.0 firmware from factory and successfully modded it to 320×240 and with the improved menus! So this modification is still very much working on new units. So, do i exchange me c2 with e4 what do thing is it worth it. I haven’t checked to see if the latest E4s still accept the modification that unlocks higher resolution potential. Even ignoring the modification issue, the C2 fits in a pocket, the E4 doesn’t, but I believe it has more capabilities even without the modification – I’ll have to check on that. Tough choice. I’m happy with my Flir E4 and wouldn’t trade it for a C2, but would use the E4 and C2 for different things. Yes, you can, using Flir Tools, their free software. The values might not be perfectly calibrated if you do the enhancement conversion. Before the conversion, the Excel spreadsheet is 320 x 240. After the conversion, it is still 320 x 240. Before the conversion, each measurement is repeated in 4×4 blocks. After the conversion, each pixel’s measurement is written to individual cells. Hello. So i want bu this flir. So new version posible do mod or flir solve this bug? You’ll have to check the thread on the EEVBlog. The community there has been keeping up with the latest developments. Hi Stuart, do you know if this hack works on the E5?